Is your deck ready for entertaining this summer? Or is the wooden structure in need of major repair? Splintering boards? Faded wood? Thinking of tearing it down and starting over? If your substructure is structurally sound, why go through the expense, hassle and time involved with rebuilding? 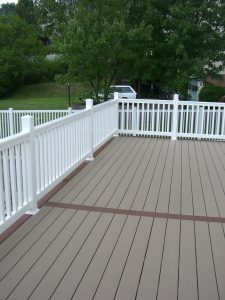 With favorable weather now upon us in the Pittsburgh area, there is no time like the present to rehabilitate your deck. Quaker State Construction has been providing quality expertise in deck construction to customers in the Pittsburgh and surrounding areas for more than 50 years. Over this time, many trends in decking material have come and gone as homeowners look for low-maintenance quality decks. 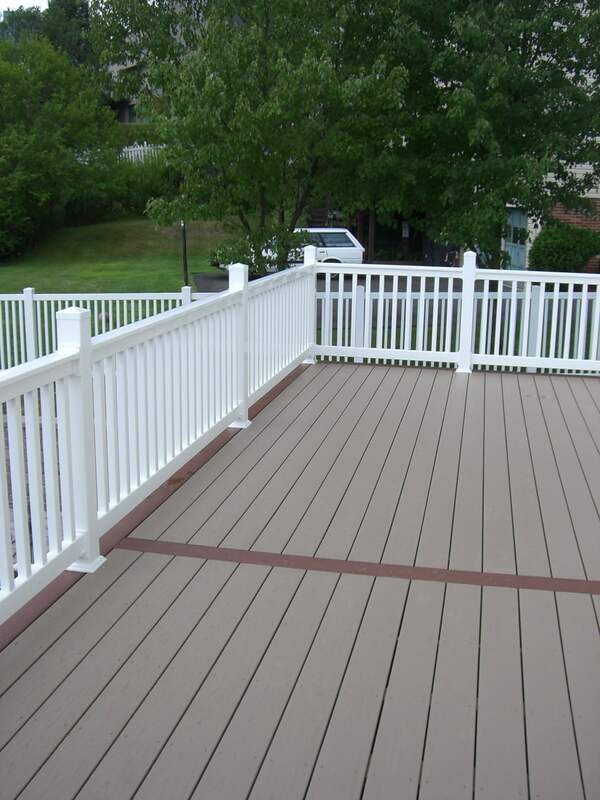 Composite, often more expensive than most woods, requires little maintenance and has become a popular choice for decks. Low maintenance: With composite boards, there is little to no maintenance required to keep the boards structurally and aesthetically sound. Cleaning: Composite decks are a breeze to clean. Older composite decking may require occasional scrubbing to prevent mildew, but the newer versions of composite are mildew-resistant. Flexibility: Composite is not as stiff as wood, allowing it flexibility in varying temperatures. If your deck is in direct sunlight, composite decking holds up well to prolonged exposure to harsh UV rays. Appearance: Today’s composites have the appearance of real wood. At Quaker State Construction, we have a variety of quality composites from which to choose. When choosing to replace your current wooden boards with composite, the following three items will determine whether your wooden structure will support the new material. Vertical posts – as simple as its name, these are the posts that are vertical. To support composite boards, the current posts must be at least 4x4s. Joists— these structural pieces are what the composite boards will be placed on. They are attached to the beams and smaller. To ensure they meet the standards required, the joists should be placed at a right angle to the deck boards above and spaced 16 inches from their centerlines. Fasteners – the fasteners must be checked for loosening that may have resulted from expansion and contraction of the wood due to temperature changes. Additionally, the fasteners should be free of excessive corrosion, since they will need to withstand the weight of the heavier composite boards. By choosing to replace your wooden boards with composite, you will be able to bring your faded splintery deck back to life in plenty of time to enjoy outdoor living and entertaining this summer. Quaker State Construction, located in Carnegie, PA, uses quality materials from the industry leaders in home improvement and construction materials. Our knowledgeable contractors and helpful staff, along with decades of design experience, work with you to provide premier decking, in both form and function. To rehab your outdoor living space today, please call 800-262-DECK. Our success depends on your satisfaction. We will work with you every step of the way.